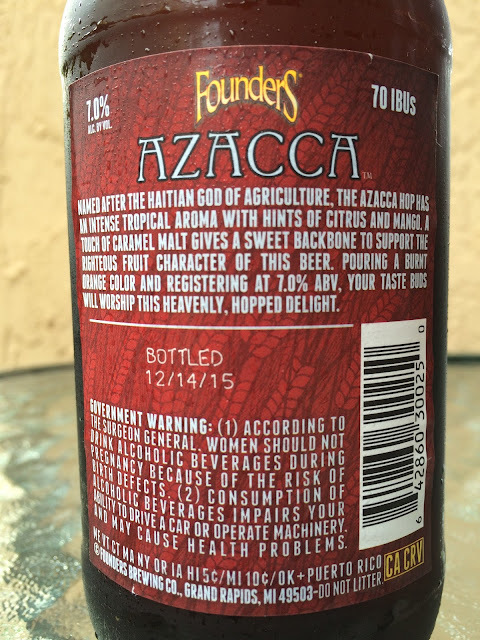 Founders Brewing recently released their first seasonal of 2016, Azacca IPA, named after the experimental hop variety named for the Haitian god of agriculture. The label art (which is super cool) in fact symbolizes Azacca watching over a field where beer ingredients are grown. A story on the back label sets your expectations, finishing with "Your taste buds will worship this Heavenly, hopped delight." Bottled 12/14/15. 7.0% alcohol. 70 IBUs. Beautiful fruity mango and orange aroma. Love it! Very fruity, full of sweet tropical mangos, melons and oranges. A zesty citrus and spicy sharp nips follow. Some pine bitterness as well. 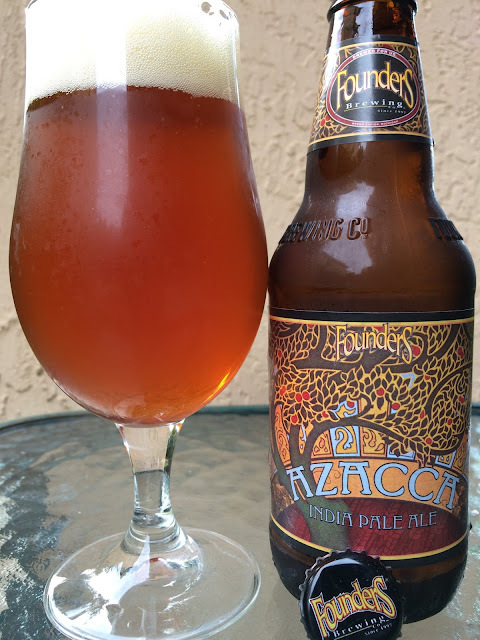 Definitely a hoppy and bitter winner, though a sweet malty caramel background does tame that. Dry at the finish with a light alcohol flavor. Very appealing. Great fruity flavors. I'm pretty sure this hop variety has a big future!